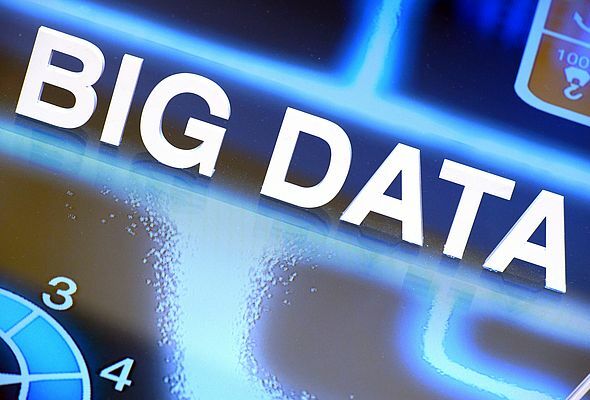 …as well as Big Data. 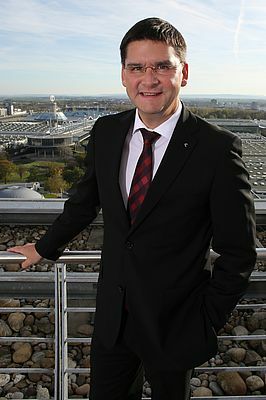 IEN Europe: Mr Frese, in mid-March, CeBIT will take place at the fairground in Hanover. Are you satisfied with the number of exhibitors so far, and how are the figures compared to last year's trade show? Frese: Last year, CeBIT took place with a clear focus on qualified visitors for the first time. This concept definitely paid off. After the exhibition we received a very positive feedback from the market, and this is reflected in the number of exhibitors for this year's trade show. It's a bit too early to talk about definite figures, but we currently expect that CeBIT will grow again. What's more important however is that with our main motto d!conomy - a neologism of the words "digital" and "economy" - we have chosen the right topic. The digital transformation concerns all areas, all companies - no matter which size or branch. Going digital has more and more become a strategic challenge for anyone who is in a responsible position within a company. IEN Europe: Which highlights would you like to point out at CeBIT 2015? Frese: Our exhibitors will show a whole variety of innovations in Hanover. For this reason it is very difficult for me to point out the one highlight. I am quite sure that the Internet of Things will play an important role in all its aspects. It will be less about the intelligent refrigerator or the smart coffee machine. What will be more important is the entire value chain and the technical components to turn the Internet of Things into a reality, for example cloud solutions, big data analysis tools, or data centers. An incredible amount of data is being processed and analyzed there, and out of those processed data, companies can generate their growth. From my point of view every entrepreneur should ask himself the question how the digitalization will influence his business, his value chains and his production flow. At CeBIT he will get the right answers, and it is for this reason that visiting CeBIT is so important. IEN Europe: What else will there be apart from the actual exhibition? Frese: It is absolutely necessary that a leading international trade show for the digital economy has to offer something inspiring apart from the wide and versatile exhibition. This is why we will extend the CeBIT Global Conferences this year and put an additional focus on even more profoundness as far as the content of the lectures is concerned. We have managed to engage a wide variety of top speakers from all over the world to share their ideas and visions with our visitors. Just a few names here: The founder of the mobile phones manufacturer Xiaomi, Lee Jun, will be in Hanover, and the founder of the Chinese dotcom Alibaba as well. Investigative journalist Glenn Greenwald will give a speech, and also the US star economist Jeremy Rifkin. Those are only a few names of a list of 200 top-class speakers from the international IT branch, which also includes rock star Peter Maffay. IEN Europe: This year's official CeBIT partner country is China. How will this economic giant present itself in Hanover? Frese: China is definitely CeBIT's most powerful partner country of all time. More than 600 companies from all areas will present themselves, among those will be big players that, almost unrecognized by the Western world, have worked themselves up into the top league of the international IT economy. China has proven very impressively that this nation not only represents a very interesting market, but that it is also able to compete with the big players and that it will be a big challenge for Western internet giants. IEN Europe: Will your Chinese partners participate at CeBIT with certain expectations in mind? Frese: Many Chinese exhibitors view their participation at CeBIT as their entrance ticket to the European and international market. Several companies have already proved that they are able to grow in Europe, Huawei and ZTE for example. IEN Europe: With regard to the current mega topic Industrie 4.0, subjects like Cloud Computing, Big Data, Internet of Things, or Data Security are especially important for the manufacturing industry. How will those topics be displayed at CeBIT? Frese: Security does play such a prominent role at CeBIT like at no other IT event worldwide. It is indeed a topic of high importance, since especially with the development of the Internet of Things, the security of applications and systems is needed more than ever. On top of that are the billions of damages caused by cybercrimes each year. We have to avoid those by providing better solutions and more secure systems. We have placed the essential aspects, Business Security in hall 6 and Physical Security in hall 12, right next to the topic DataCenter@CeBIT. Both areas are represented by well-known companies. We realized that security has become an integral part of the systems, and is no longer just an add-on supplied at the end of a new application. 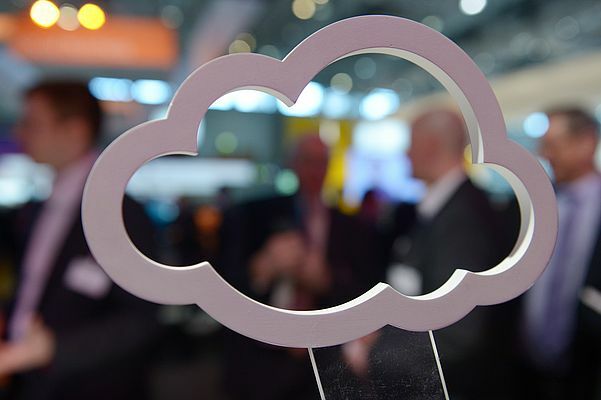 IEN Europe: Due to the widely discussed topic Data Security and the resulting restraint of manufacturing industry to use Cloud services, do you expect a higher number of visitors, because the demand for information has increased? Can CeBIT perhaps even serve as a confidence-building measure? Frese: I am indeed convinced that many exhibitors will succeed in reestablishing confidence in cloud-based solutions. Without any doubt, systems have become more secure recently. The interesting thing about cloud solutions is that they offer high efficiency potential for companies. IEN Europe: In connection with the Internet of Things CeBIT has initiated the so-called CODE_n Innovation competition. What is this initiative all about, and how will it get displayed at the trade show? Frese: Due to the incredible dynamics of innovations, companies are less and less able to develop the necessary new business models and services on their own. This is why many big companies and also political players are very much interested in the start-up enterprise scene. Those young companies are able to reflect and think about business models and the entire value chain in a whole new, completely digital and also disruptive way. The worldwide start-up competition CODE_n is to be seen in this context, for which more than 400 companies have applied this year under the motto "Into the Internet of Things". The best 50 of those companies are allowed to present themselves at CeBIT in hall 16. Together with the new CeBIT platform for start-ups and their whole eco system - SCALE 11 - we will be able to experience a very creative and busy atmosphere. All in all, more than 350 start-up companies will present themselves at CeBIT this year. IEN Europe: What else could be interesting for qualified visitors from the manufacturing industry at CeBIT 2015? Frese: CeBIT this year is especially worth visiting for those who carry entrepreneurial responsibility and for the decision makers. Within the context of Industrie 4.0, big challenges have to be met as far as the production process is concerned. And here it is all about knowledge acquisition and understanding the systems, in order to meet those future challenges appropriately. Nowadays, decision makers of the manufacturing industry have to get involved with such topics as ERP, BI, CRM, ECM or Data Centers. Those are enough reasons to visit the most important event of the digital economy. Connecting systems for intelligent production. From 18th to 23rd of September 2017 the world's leading trade fair of the sector, presents an unequalled width and depth of products and services throughout all production areas, from the nucleus machine tool, to precision tools, to linking devices and industrial electronics. At the world's leading IT trade fair and conference for professionals, visitors can discover the wide-ranging opportunities opened up by ICT and digitization. The leading trade fair for industrial HANNOVER MESSE will run from 7-11 4. 2014. It will place a strong emphasis on Industrial Automation and IT, Energy and Environmental Technologies, Industrial Subcontracting, Production Engineering and R & D.